In today's video, you can learn a couple of interesting ways to use a mold with polymer clay to make an interesting object. 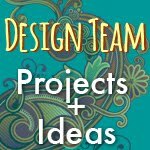 You don't have to use a whole mold, you can use part of one, and combine it in different ways. Watch Kira make a little mermaid and dolphin ring catcher. 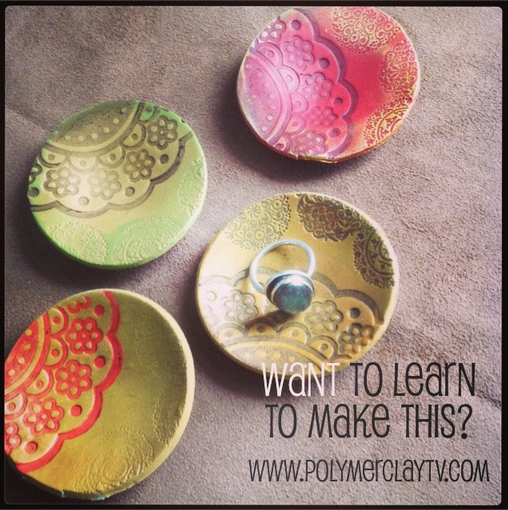 Make sure you check out PolymerClayAdventure.com today for more classes! Amazing Free Gift with purchase- from MandarinMoon! 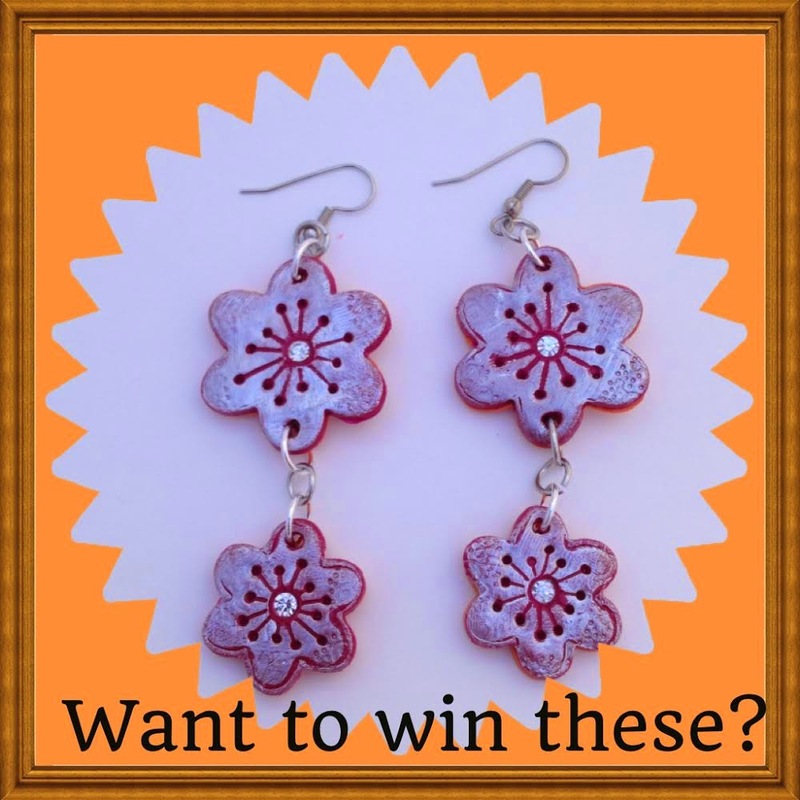 How to make polymer clay plum blossom earrings and you could win them too! Have you seen the new plum blossom cutters yet? 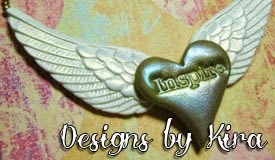 They are super cute and make it really easy to make beautiful jewelry. Learn to create these fun plum blossom polymer clay earrings on Polymer Clay TV, they make awesome gifts too and you could win a pair too. watch the video to see how to win them. 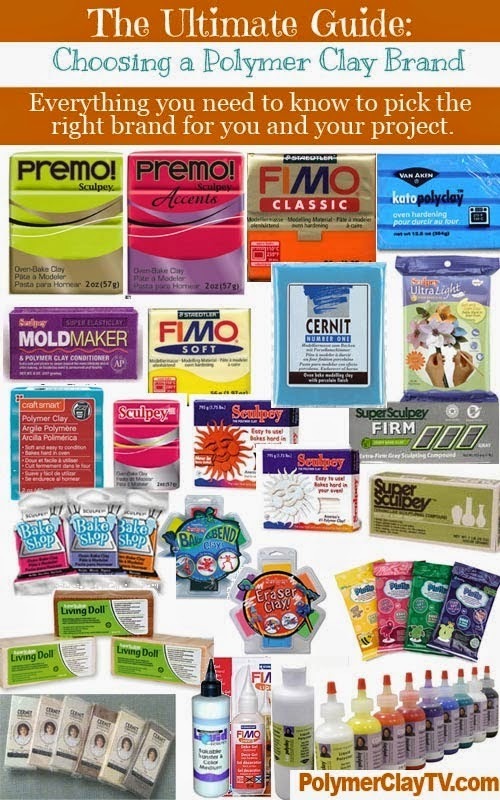 You can find the cutters and stamps in our shop at this link. Find the NEVERknead tool here! I am in love with this new set of floral cutters, I have just scratched the surface of what you can do with these. I paired the stamps up with the carnation cutters and got such a cool look. You can create jewelry and home decor with these fun stamps. They are the perfect size to do almost anything with. You can find them in the shop at the links below. Enjoy the tutorial! 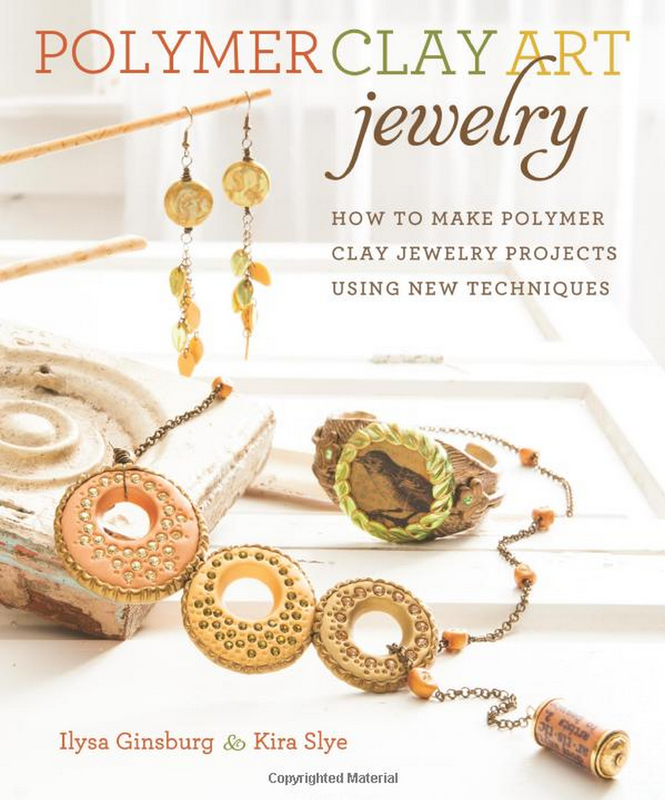 Learn how fun it is to add dimension to your mixed media artwork by making your own polymer clay elements to glue on using hot glue or gel medium. 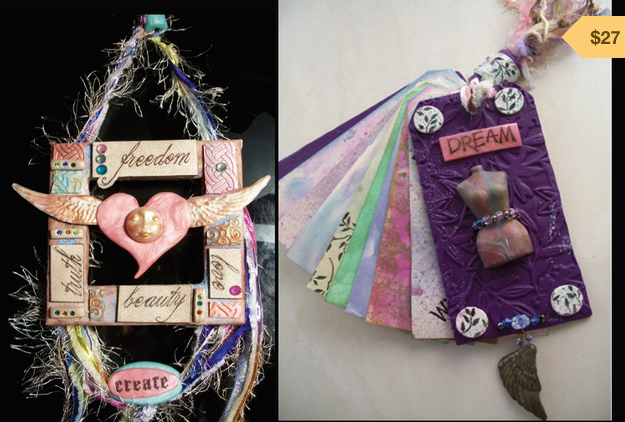 There are so many possibilities to make unique are when you create your own parts and pieces. Get the cutters and molds at in the shop! 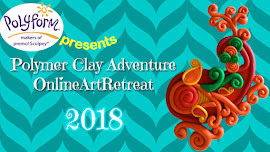 Don't forget to check out http://PolymerClayAdventure.com! Win a prize and go on an Adventure! 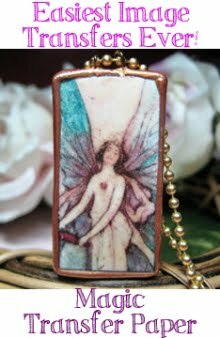 Check out what MandarinMoon is doing in Polymer clay!